Finally finished and coloured an illustration that I started a few weeks ago. Vaguely inspired by the work of John Evelyn, Conrado Almada and Hayao Miyazaki, it’s one of those illustrations, that as I draw, takes on a little life of its own. 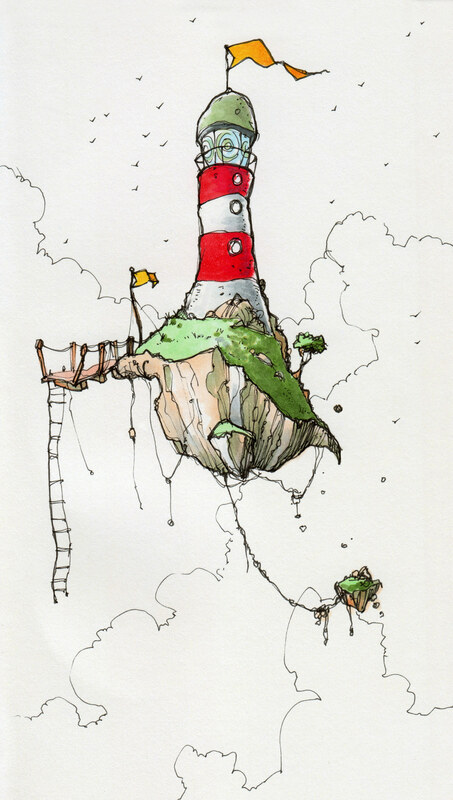 I can’t help but wonder who lives there, what the lighthouse is for, what kind of ships need warning of rocks in the sky…? I think there’s definitely a story to be told here. By somebody. I saw your picture on Reddit and I absolutely loved it! 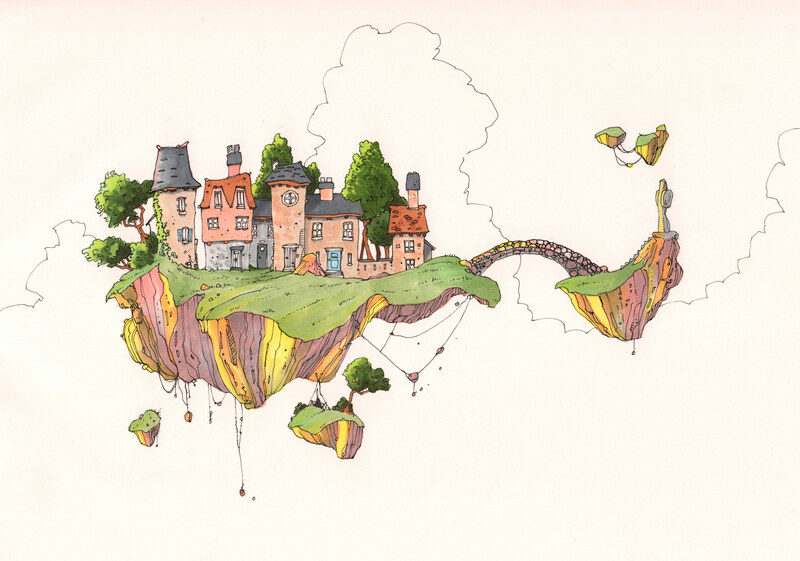 It totally makes me want to tell some sort of story about a world of floating buildings. Did you have any specific story ideas? you’re really talented. These pictures are amazing. I LOVE these pictures! Thanks! I just had a quick glance through your blog and your doodles are thought inspiring for the imaginary mind… This one struck me most, but I can’t put my finger on it why.